So I’m a bit of a Lush newbie. This was probably my second time in the store. 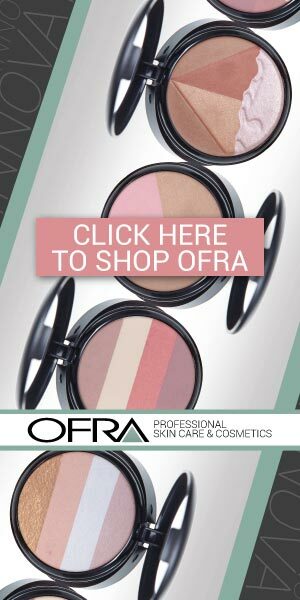 I don’t know why I’ve never gotten more into it – I love this store!!! Everything in the store is handmade and created with nourishing, all-natural ingredients that you just know are going to be good for your skin and body. 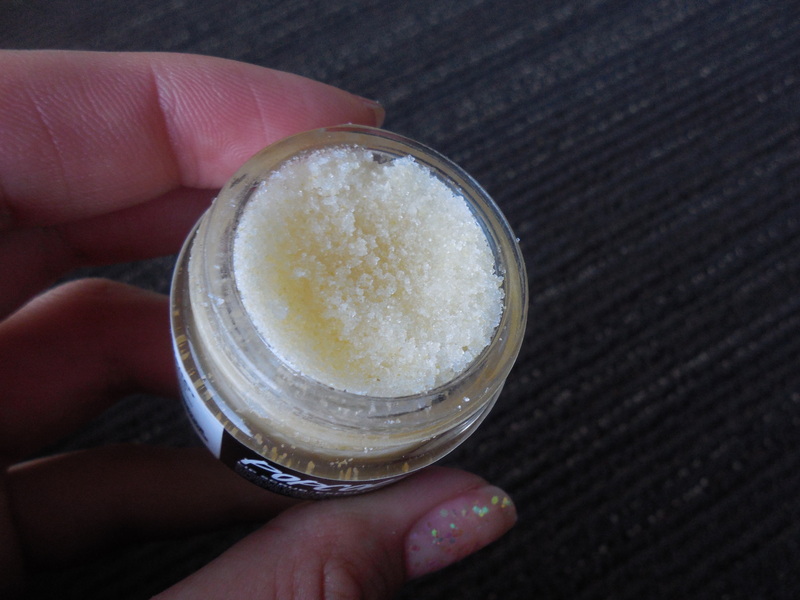 I picked up the Popcorn Lip Scrub whilst roaming the store and I literally could not put it down. It smells like a bag of kettle corn that’s just died and gone to a heavenly oasis of salty sweet. INDESCRIBABLE! Because of the fact that I couldn’t stop smelling it in store, I decided I should definitely take this one home with me. So I did… and my lips have never felt smoother. 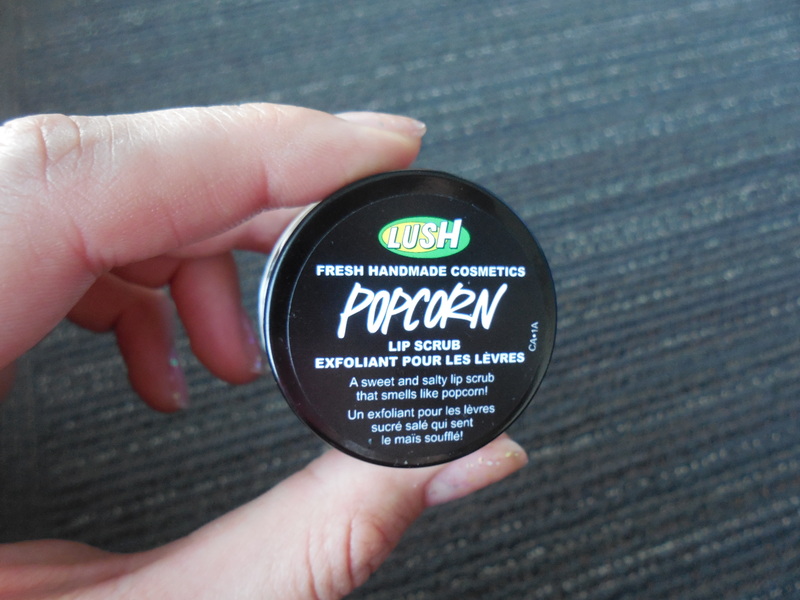 I’ve never used a lip scrub before, but Popcorn was definitely an excellent way to introduce myself to the concept! I used this lip scrub while I was taking a relaxing bath. I took off my makeup for the day then scrubbed a pea-size amount of Popcorn onto my lips. I spent a few minutes buffing the product in (because this was very satisfying!) then proceeded to apply a second coat (because the product just smells so good!). As I was soaking in my bath, I read that you can actually lick off the excess product! And boy, does it taste like a salty sweet oasis. With Popcorn Lip Scrub from Lush, you truly can have your cake and eat it to… or I guess in this case have soft lips and lick them too! 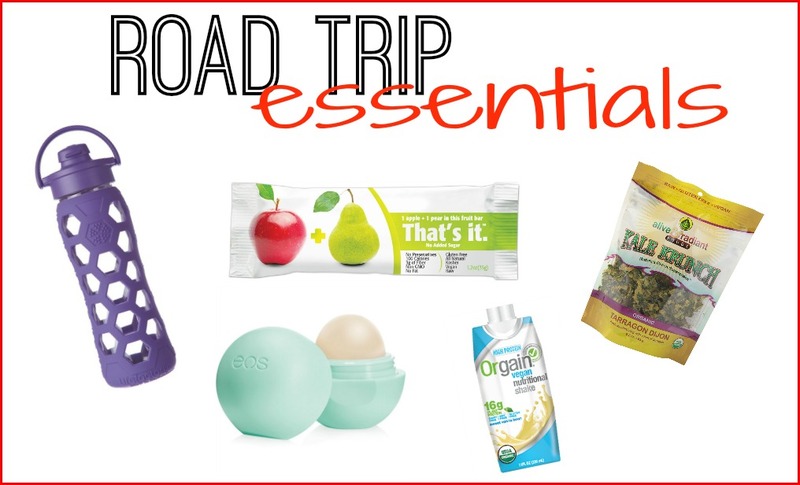 I recently went on a cross-country road trip and thought I would give you guys some of my road trip essentials! First and foremost – gotta have my hydration! 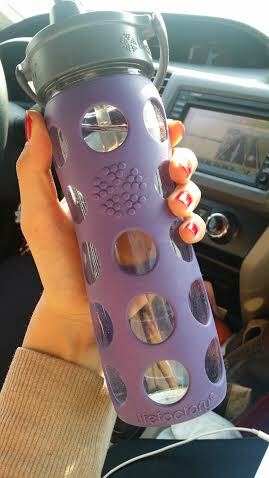 I love my purple BPA-Free Lifefactory Glass Bottle! I prefer to drink out of glass bottles as opposed to plastic which can contain DEHA (a ubstance linked to cancer). These bottles are amazing – I carry mine with me wherever I go! 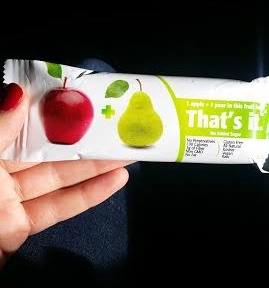 Some good snackage is definitely necessary on a road trip – no matter how long you’re in the car! That’s it. Fruit Bars were a must! These bars are the perfect snack because they’re vegan, gluten-free, paleo, and made with only two ingredients – Fruit + Fruit! It’s like taking fruit on the run without the mess. My favorite flavor is Apple+Pear. I stored a few in my console to have as my perfect, daily sweet fix! 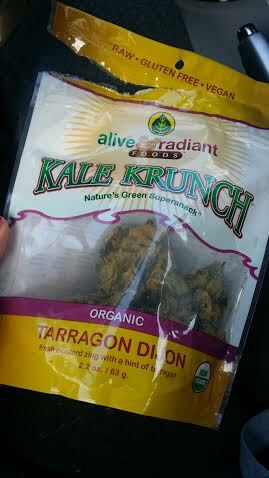 To satisfy my salty cravings, I munched on Kale Krunch. These are absolutely my favorite kale chips! I love the Tarragon Dijon flavor. They are healthy and delicious – a perfect snack when you’re on the run. 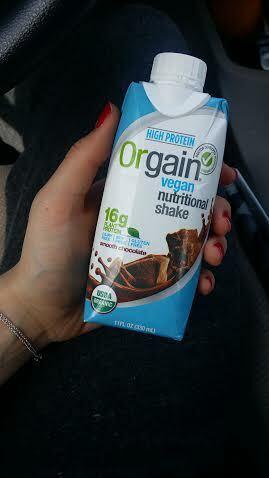 When I felt like I needed some real fuel, I sipped on Orgain. These are my favorite protein shakes because they’re filled with nourishing ingredients and even fruits and veggies. Plus, they just came out with two vegan flavors! When I saw the new vegan flavors on the shelves of Whole Foods, my life was made. Both of the vegan shakes make you feel wonderful and taste great, but my favorite was the Sweet Vanilla Bean flavor – Yum! 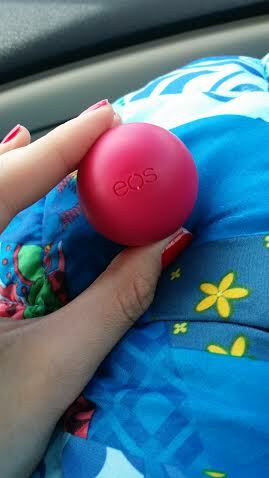 Last but not least, my EOS lip balm was essential on this trip! Five days on the road = unhappy, chapped lips for me! I picked one up as we were passing through South Dakota. Surprisingly, I had never tried EOS before! I really didn’t know what I was missing out on – with my EOS lip balm, my lips felt smooth, soft, and nourished – and on a side note, they’re so cute! Those are my essentials for any road trip! Check out my Road Trip Vlog for more on my cross-country adventure!